Hello Lovelies! 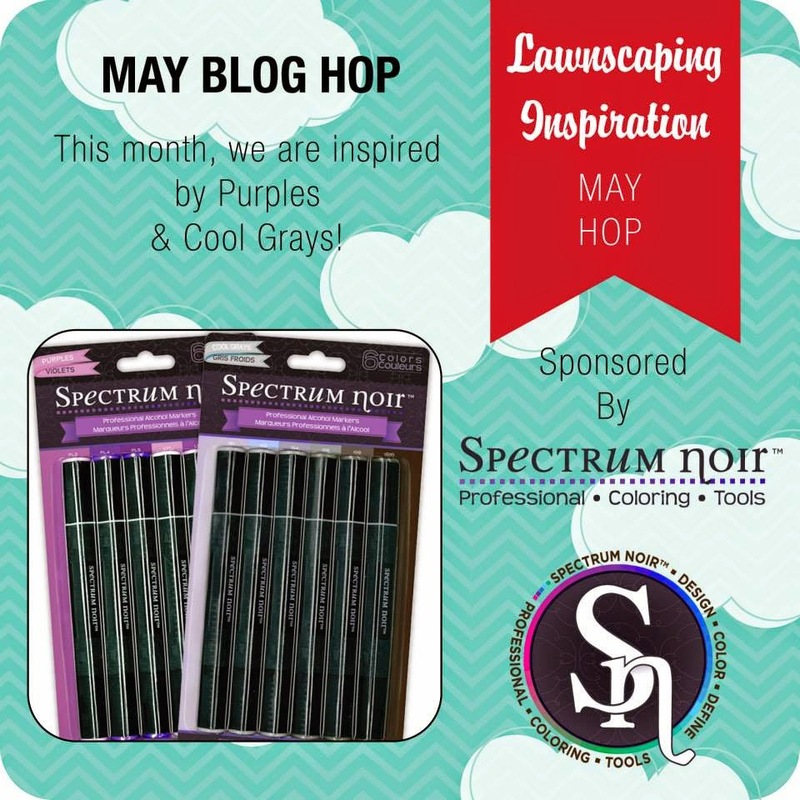 Welcome to another Blog Hop brought to you by the Lawnscaping FB Inspiration Team sponsored by Spectrum Noir. This month we are inspired by Purples and Cool Grays. You should have found your way to me by the fun and talented Isha! Here is my card for this month's hop! For my card I used the "Dream" mini stamp set from Lawn Fawn. I first stamped out 3 of the larger feathers and two of the smaller feathers all in VersaMark, and then I coated it in silver embossing powder. 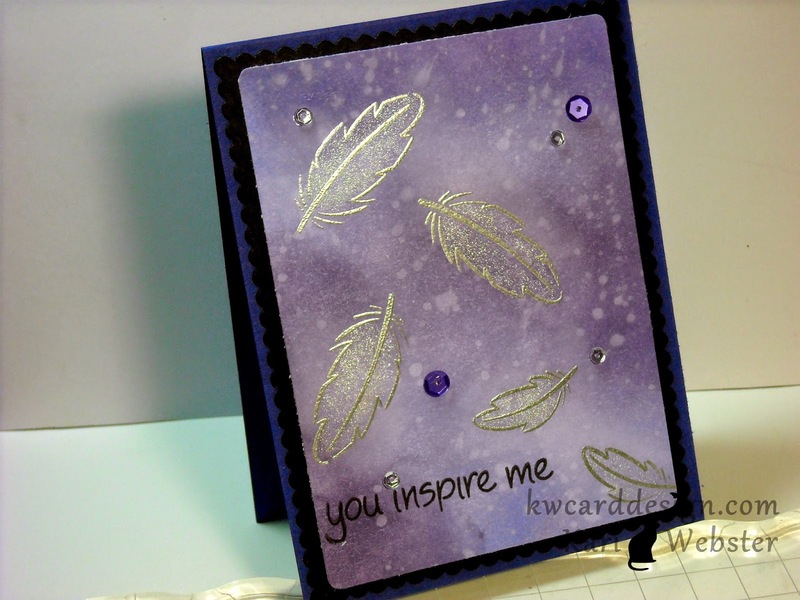 I used my Milwaukee heat tool to heat set the embossing powder, and then it was time to add some pretty purple colors to my background. I used Distress Inks in Shaded Lilac and Dusty Concord - and my mini ink blending tool and blended the two colors onto my background. Once I was done and happy with my results, I used my mini spritzer bottle and sprayed water in my hand and flicked the water with my fingers on my Distressed background to give it some texture. 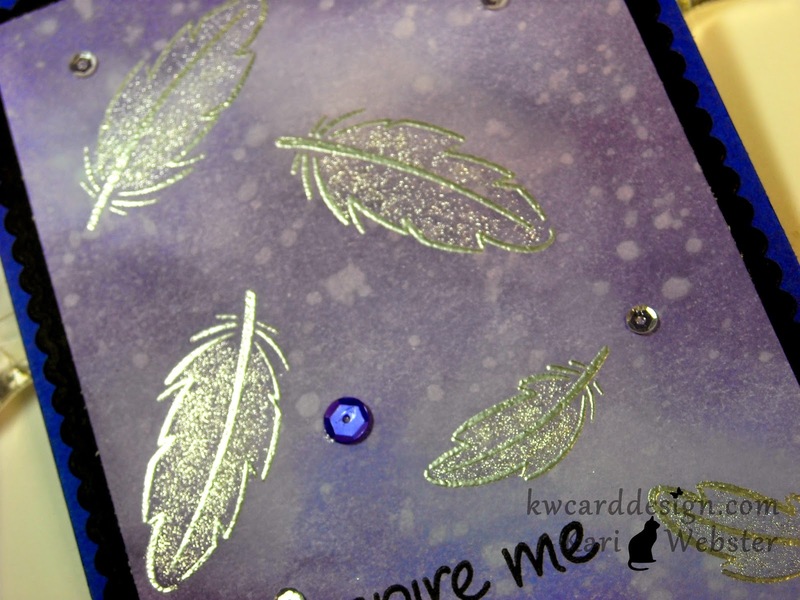 I then added Wink of Stella to my feathers for some shimmer, and stamped my sentiment "You Inspire Me" from the set Flutter By in VersaFine Onyx Black Ink. I added my main panel to a scalloped frame cut from the Femme Frames by Mama Elephant, and adhered both of those pieces to a Blue Violet card base. To finish everything off, I added some PPP sequins. Hope you are enjoying the hop so far!! It is time for me to send you off sweet Lenny! Hello all! Welcome to another Inspiration Sunday How to! Today I am using some washi tape and some Lawn Fawn Puffy Star Stackables Dies to create today's card. Below is the video and all supplies used!! Also, I wanted to say thank you to all the men and women who have sacrificed their lives to serve!! Happy Memorial Day!! Welcome back! 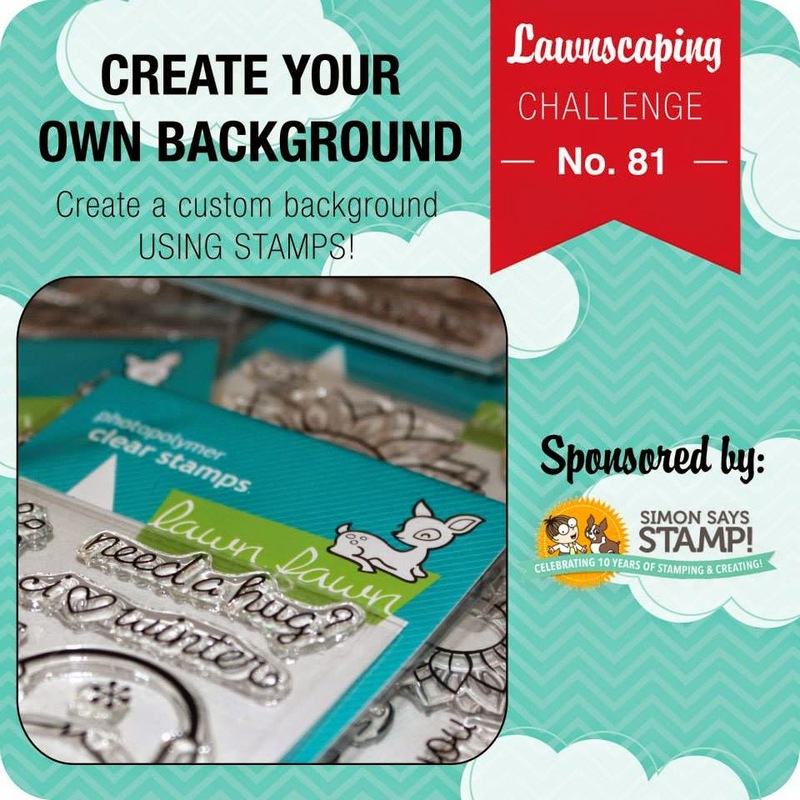 It is time to introduce a new challenge over at Lawnscaping! So, do you like the Distressed look?! There are so many ways to achieve this look! 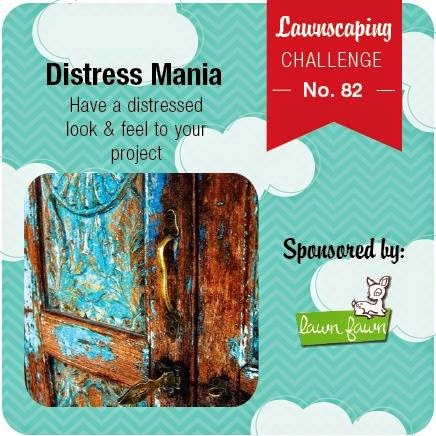 We want you to show us your Distressed Project! I used the Critters on the Farm set by Lawn Fawn. I think think is one of the cutest sets, and I have used it for many different projects. To feature distressing on my project - I, first took a piece of wood grain card stock and two different colors of Distress Inks - Weathered Wood and Vintage Photo and just inked up an area big enough so I could stamp my barn image from the stamp set. Once I achieved the look I was going for, I colored with Copic Markers R29, E37, C5 and C7. It makes it look like a vintage barn. I stamped, cut and colored my hay bale. I also die cut some grass out of the green polka dot papers from Let's Polka. I adhered all of these elements to a die cut piece of Sea Glass card stock die cut from the Stitched Journaling card die. 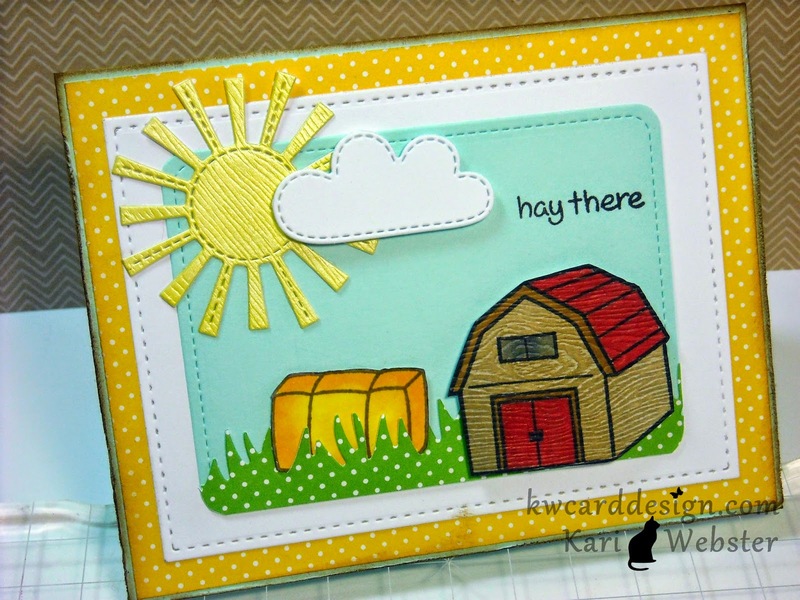 I also used my newest dies from Lawn Fawn the Spring Showers - the sun and one of the clouds. I just LOVE that stitched border! I adhered my main panel to a piece of white card stock that was die cut from what else - the stitched frame from the Femme Frames set from Mama Elephant! Again, addicted! Then, I adhered all of that to a piece of yellow polka dot paper also from the Let's Polka 6x6 pad. All of this got adhered to a Sea Glass A2 size card base, and to add a little bit more distressing...I roughed up the edges of my card base, and added some Vintage Photo Distress Ink around the edges too. OH! and that sun - I took another piece of white wood grain card stock and used one of the new Prima Bloom Sprays in Sunshine to color the card stock and then used the sun die from Spring Showers to die cut it out...love the texture and the color!! Hope I have inspired you today!! Our sponsor this week is the super awesome Lawn Fawn! And, they are about to release new products!! YAY! Inspiration Sunday : You are Seriously Awesome! Hello, and Happy Sunday! Happy Mother's Day to all mother's out there!! Today's Inspiration Sunday features a stamp set that is new to me - Avery Elle "Write It". 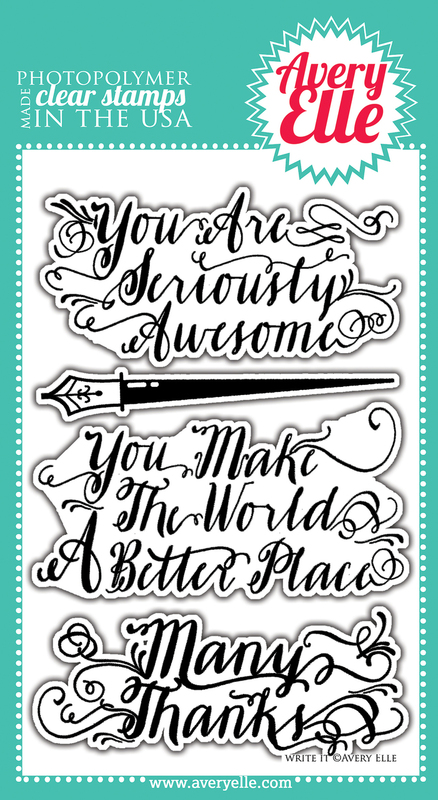 This stamp set has 3 beautiful sentiments in scripty font that I am sure lots of us will love!! Here is the video and below are the supplies used!! Enjoy!! Welcome, Welcome to another challenge over at Lawnscaping! If you joined in our last challenge, hope you had fun seeing all the "mini" projects!! For you this week it is all about backgrounds, and creating your own!! There are so many ways to create a background and it will be fun to see what everyone comes up with!! I also want to mention that we are sponsored by the ever so popular Simon Says Stamp, and they have their new website up and running!! If you haven't checked it out, its awesome!! OK - onto my project! 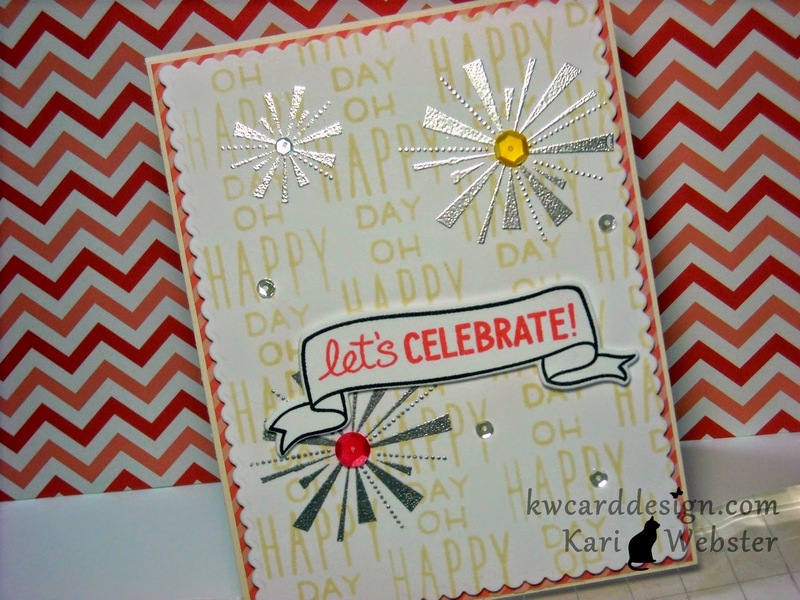 For my card I used three different sets from Lawn Fawn - Hello Sunshine, Happy 4th, and Bannerific. I started out by die cutting a piece of Bazzill Marshmallow card stock with the scalloped frame from Mama Elephant. 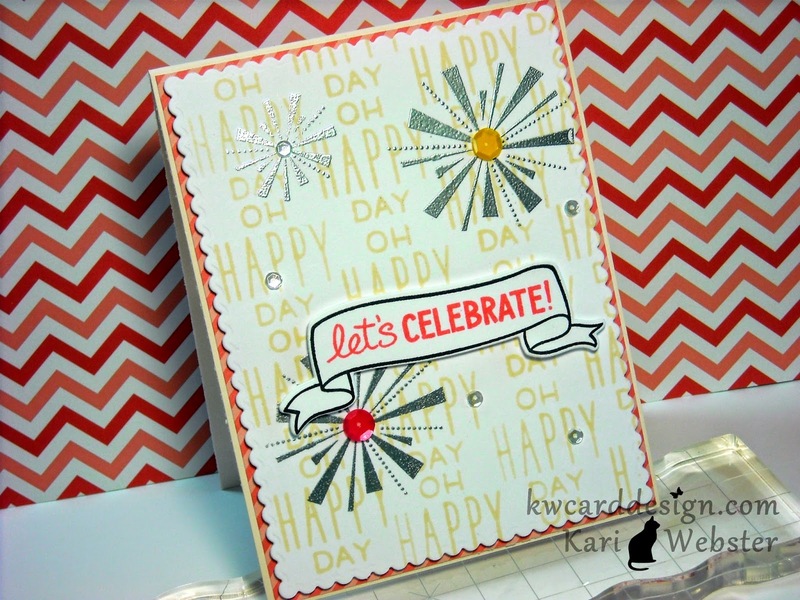 Then I started stamping the "Oh Happy Day" sentiment from Hello Sunshine to create my background using Soft Vanilla Ink from Hero Arts! LOVE this ink color! Then, once I was done stamping, I prepped by panel with my powder bag to prevent static because I heat embossed the firework images from Happy 4th. I heat embossed them in silver embossing powder - so pretty and it really is a neat effect against that soft vanilla background. Then, I stamped and die cut one of the banners from Bannerific. I recently purchased the dies to match, so I was anxious to use them. 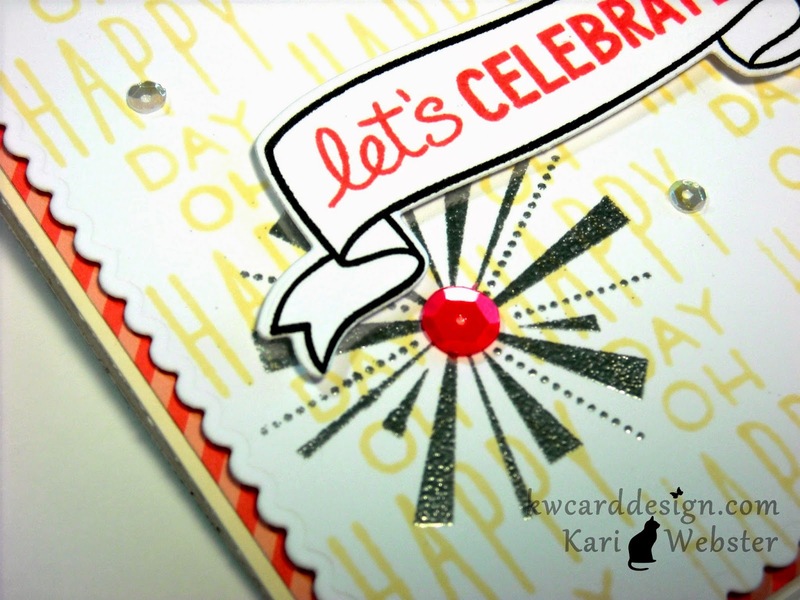 I inked up the "Let's Celebrate" sentiment using Pale Tomato ink. I placed foam adhesive both of the stamped panel and the banner, and all of that went on one of the patterns from the Let's Polka 6x6 paper pad. It gives a slight pattern between the stamped panel and the card base which a piece of Butter Mints card stock from Bazzill - cut and scored to a create an A2 top folded card. To finish off my card I wanted to add some sequins - so I used a couple from the Hello Sunshine collection from Lawn Fawn as well as some 4 mm Sparkling Clear sequins from Pretty Pink Posh. I am addicted to the 4 mm size! Hope I have inspired you to join in this week's challenge!! Looking forward to seeing all the fun backgrounds in the gallery!! Have a great week! Inspiration Sunday : Happy Birthday!